Home › Community Programs › we are oNE. Nebraska communities, similar to the one Store Owner, Lori Borer, grew up in, have been recently experiencing disastrous flooding, causing them to leave behind their home. With this comes a greater need for life's basic needs. Project "we are oNE" will be a platform for us to give back to these local Nebraska communities. 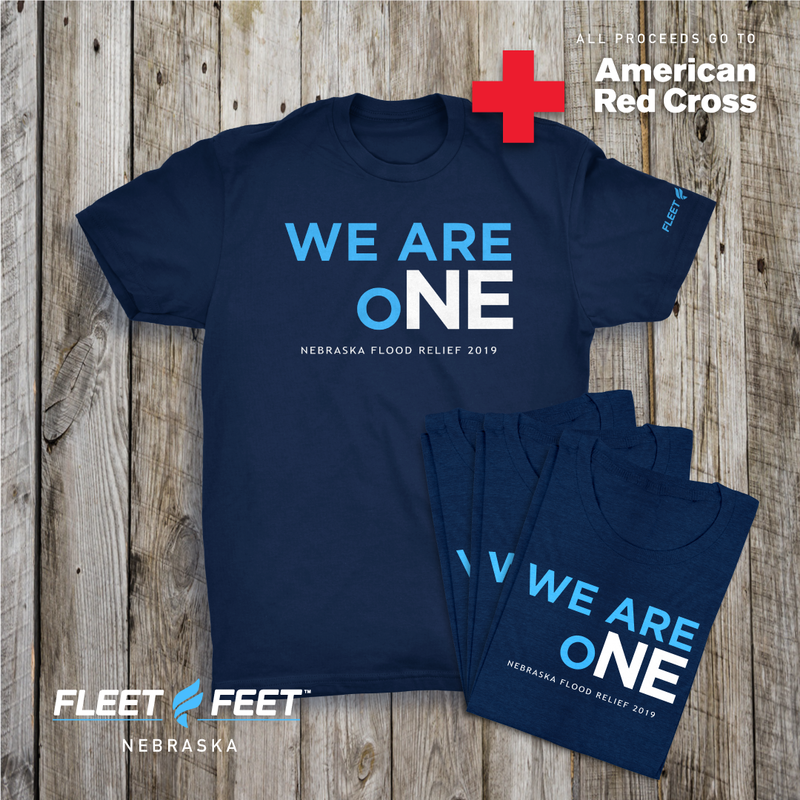 We teamed up with The Salvation Army, Nebraska Juniors Volleyball, and Yeti Printshop + Design to give back to all of the families, individuals, communities, and businesses affected by the flooding. FOR EVERY 5 PAIRS OF SHOES DONATED, WE WILL DONATE A PAIR OF SOCKS BACK TO THE SALVATION ARMY! Fleet Feet Omaha - 17660 Wright St.
Fleet Feet Lincoln - 7701 Pioneers Blvd. WE ALSO TEAMED UP WITH YETI PRINTSHOP + DESIGN TO GIVE BACK! SELECT SIZE (Unisex sizing) AND CLICK "BUY NOW"
The shirt order will be placed April 1st and will be completed and shipped shortly after!